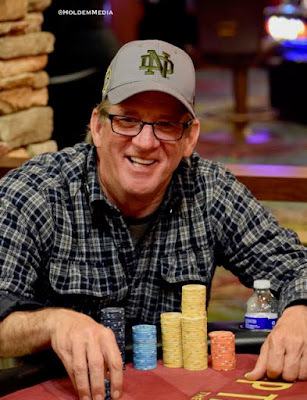 @KevinODonnell15 moves all-in from the BB after an open by Eric Smyth. There's a bit of hesitation by Smyth, but he has O'Donnell covered by more than 3-1 and makes the call. No paint at all on the flop, turn or river and O'Donnell is out in 31st place ($900), while Smyth moves to a cool milly.